High Purity electrolytic manganese metal has been produced at Element 25's flagship Butcherbird asset. Element 25 (ASX: E25) has yielded high purity manganese metal of 99.95% at its Butcherbird project in Western Australia’s Pilbara region. 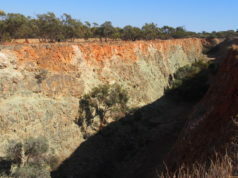 The Perth-based company informed shareholders that it had undertaken bulk metallurgical test work on four diamond drill hole core samples from the manganese project, with the test work producing High Purity Electrolytic Manganese Metal (HPEMM). According to Element 25, the encouraging results further underpin the potential for Butcherbird to produce high purity manganese given the results are well above the industry standard for electrolytic manganese metal of 99.7% manganese. Element 25 executive director Justin Brown described the results as outstanding, with all impurities coming in below acceptable limits to produce metal. “To achieve such a high purity on our first attempt to scale up the flowsheet is remarkable and bodes well for the project’s future,” he said. The metallurgical test work was undertaken as part of a progressive scale-up of the processing sheet, developed in conjunction with The Commonwealth Scientific and Industrial Research Organisation. The test work also forms part of the company’s ongoing pre-feasibility study for Butcherbird which is set to be completed this year. Element 25 will now turn to multiple, large-scale batch tests from approximately six tonnes of PQ diamond core currently being drilled to further optimise the process. Butcherbird, which is located close to the Goldfields gas pipeline south of Newman, remains the company’s flagship project. The asset has a JORC resource in excess of 180 million tonnes of manganese grading 10.8% manganese at an 8% cut-off. A scoping study for the project completed in May last year determined Butcherbird to be an economically and technically viable project, prompting Element 25 to progress to a pre-feasibility study. The scoping study outlined some financial and operational metrics pertaining to an open pit development and processing methods of the Yanneri Ridge deposit at Butcherbird. 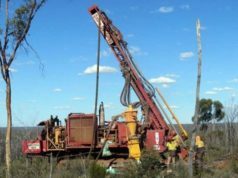 In addition to the pre-feasibility, the company expects to release a resource upgrade and a maiden reserve for Butcherbird in the wake of recent infill drilling. Element 25 hopes to leverage demand stemming from the world’s battery markets, with Butcherbird set to produce high purity manganese sulphate for lithium-ion battery cathodes as well as HPEMM. The company’s shares were trading at $0.17 soon after market opening.